One of the goals of Between Distances is to inspire others to get out and explore. I also get a lot of inspiration to travel and keep discovering the world from the people around me. Fortunately, I happen to be friends with a bunch of very adventurous and creative people, so that inspiration is never in short supply. One of these individuals is my friend Gabriel, serial expat and bass player/vocalist in Implore, one of the best Grindcore bands out there right now. 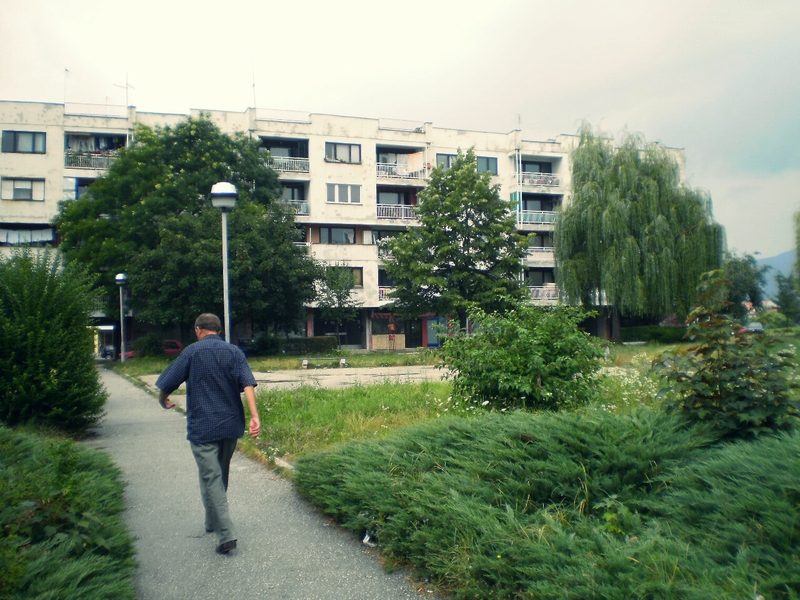 Gabriel has been moving around for many years now and has lived in a number of different countries. He’s also toured all over the world with his band. The other day I asked him if he’d be interested in sharing his experiences with Between Distances to gain a bit of insight into touring and living on the road, and talk about being at home both everywhere and nowhere, adapting to new environments, and discovering the local Grindcore scene wherever he goes. Implore’s new album – out now! How about we start with a brief introduction of you and your band. Hi, I’m Gabriel (29) born and raised in Buenos Aires, Argentina, spent my teenage years in Barcelona and moved to Germany around 2009-2010 with many seasons spent in Los Angeles. In 2013 I moved to Hamburg and started Implore. Since spring 2014 this band is touring the world and we are not planning to stop anytime soon. You’ve told me before that you feel most at home when you’re on the road. How do you feel after a tour ends? Are you usually relieved that you can finally get some rest or wish you were still out touring? When the tour ends I don’t really know what to do with my life. I guess for the first two days it’s ok to be at home and shower in my bathroom, but that’s all. My perfect plan would be not to have the end in sight, just keep going on tour and getting one tour after another—as an example Europe-US-Europe-Asia-Australia-Europe summer festivals. That would be the best year description to me, but I have to face reality and come back home. The adrenaline goes down pretty quick… it’s depressing sometimes. The show in Cagliari was as intense as the wind that constantly blows in the island. Was amazing! We will be back for sure. Like myself, most of the readers of this blog are also travelers, but few of us have actually toured the world with a band. What’s a day on the road like? How is it different from other forms of traveling? A day on tour is quite the same day by day, depends on the size of the tour and the requirements of the venue to check in, load in the gear and sound check. If it’s a professional standards tour like the one we are right now, then we have to be at the venue around 4pm, and get everything ready. If it’s a DIY tour it’s more flexible and with arriving at 6pm you are usually on time. Sometimes there is a lot of time to kill and venues are near interesting things to go check out or near the downtown area so it’s easy to take a stroll and discover new places. Sometimes the venue is far in the middle of nowhere and you have to hang out at the venue or backstage… All in all touring is a great way to do the 3 best things in life at the same time, playing music, traveling with your friends. Being in a Grindcore band you’ve seen and experienced a world that most travelers don’t ever come into contact with because, well, it’s underground. The global underground Grindcore and Metal scene is by no means uniform but there are many similarities, and that makes it easier to connect with locals who are part of it. There are likewise many misconceptions about the scene and outsiders often hold negative preconceptions about it. How has being part of the scene impacted your travel experiences? Hosts always give their best and make you feel welcome. When we toured the USA and Mexico everybody opened the doors of their houses, gave us a place to crash and fed us. In Oregon we went to see the Goonies house and in Mexico we visited the Aztec pyramids. It’s always nice to see how people live and despite being different cultures sometimes, like it could be Asia or South America, the underground has always the same values and same connections. Long bus trips, tomorrow Porto Alegre. 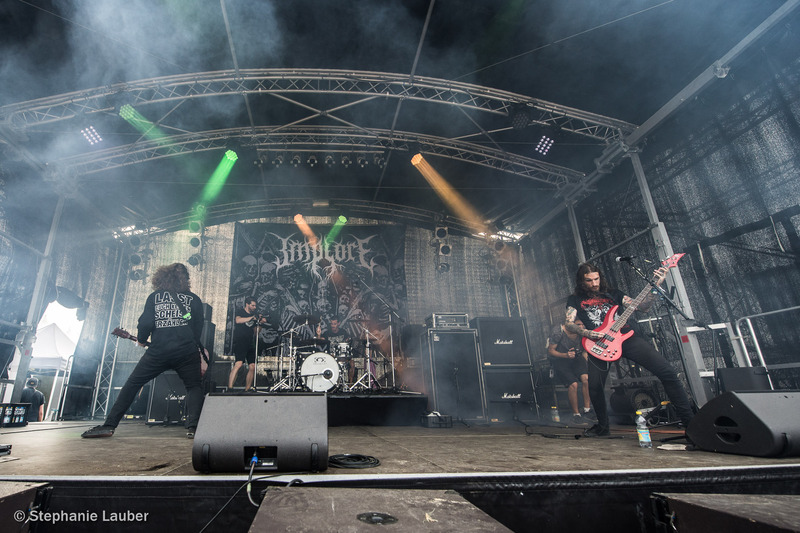 Implore has toured North and South America, Southeast Asia, and Europe. What places have left an impression on you, especially when it comes to the response you get when you play live? I have experienced that poor countries are less spoiled and they enjoy your show more, they are more thankful and more active during your set. It’s a good feeling to play for people that truly cares and they show you their appreciation. In some places in Europe it’s also easier to put the venue upside down, and in other countries people are used to seeing all bands all the time and they just don’t give a damn, they just stand with their arms crossed clapping between songs. It’s not bad, but if I have to choose I prefer the venue with people stagediving and having fun. You have the words “I’m not homesick” tattooed on your fingers. Is there a place that you consider “home” that you would like to go back to (other than the road)? Or are you also still looking for that place now? I have tattooed “I’m not homesick” on the left hand and “Life on the road” on the right hand. To be honest I don’t know if I belong anywhere, I enjoy when I go visit my family in Barcelona but with ten days tops I have enough. In Berlin I’m not that often anymore cause our practice room is in Linz and we were quite busy the last months. In Linz I sleep on a couch and in Berlin I have my room but my mattress is not better than a couch… maybe in Berlin I have a little privacy but I know I’m never staying longer than few days, in fact this year I’ve only been one month at home. I consider my Mercedes Sprinter home—there I’m happy doing what I wanna do. You have a new album coming out, “Subjugate,” which I had the privilege of listening to from start to finish in Berlin a few months ago. Implore is now signed to Century Media, one of the most prestigious Metal labels worldwide. What’s next for Implore in terms of touring? Thanks! We are finishing this current tour, we have three weeks off and then we start another tour for ten days and right after that one we fly to Japan and Southeast Asia for a month, when we come back we have ten days off and we start another Euro run for ten days… We are waiting to start the process of the US visas for 2018 and hopefully we will get to tour the US a lot next year and more good offers will come for Europe, let’s keep the fingers crossed. Last but not least: Share with us one of the many things that you’ve learned from living abroad and whatever else you’d like to add. Don’t rely on anybody else than yourself. People will promise you things and nothing will happen, that might be upsetting and disappointing… If you are planning to move abroad be ready to fight adversity. Some things happen quickly and some others take ages. Just never give up. Thanks for this space and thanks for making such a cool blog. Cheers! 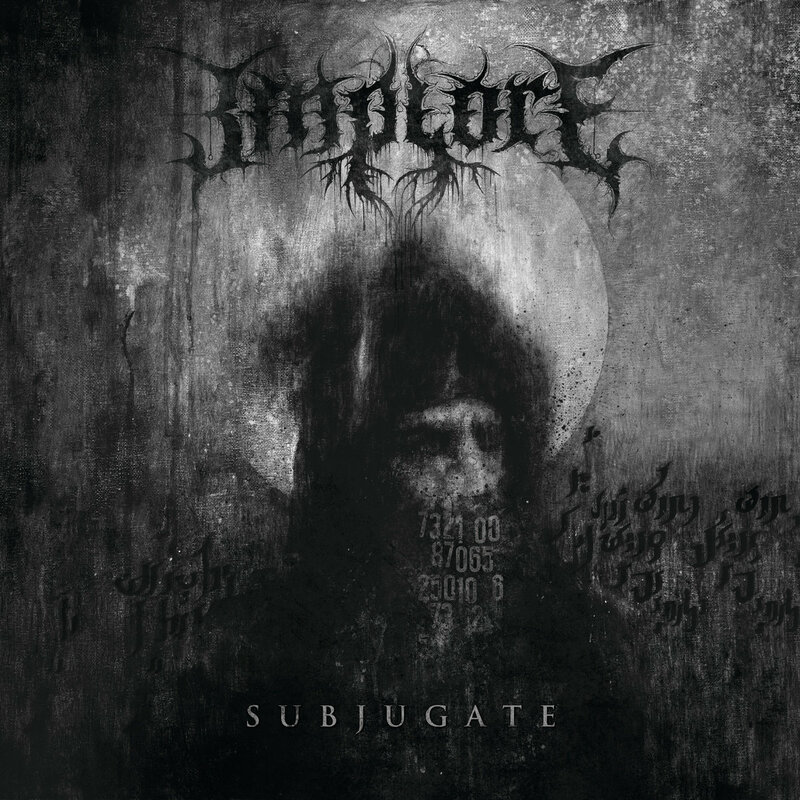 Implore‘s second full-length album “Subjugate” will be released on September 22 through Century Media Records. It’s a killer album so make sure you check it out. Follow the band on Facebook and try to catch them on tour for an energetic and honest performance. Likewise, make sure to support this blog by subscribing and following me on Facebook and Instagram! Thanks for stopping by!